It feels like spring has finally sprung (a little late perhaps) and we can finally start to venture outside a bit more! And so after being cooped up in offices and meetings all winter, many of us will find ourselves invited into the great outdoors with our work colleagues and team mates – the perfect venue for training and team building events. These two forces of “focus on self” and “focus on team” are why such activities can be great and yet also risky. While we want to learn positive things about ourselves and our colleagues, if the activities are not carefully chosen, designed, set up, run, and debriefed, we may well end up finding new or confirming old negative perceptions about the team, colleagues or ourselves. We have been invited to work with many clients as they go through such outdoor activities and have studied this dynamic for many years. Here are a couple of our observations we’d like to share with you as the weather improves and the great outdoors beckons. They closely listen and adapt to your needs and ideas, whilst not being afraid to challenge you where helpful and where their own expertise adds value. They consider safety first, second and third, with qualified experienced staff; safety from a physical and a psychological/ emotional view. The physical side (should be) a given. But it’s the emotional fall out from anxiety, danger and potential conflict derived from the physical, competitive and decision making aspects of certain activities. They do not present a “macho” approach, but clearly show the event is going to be about you and your team… and not them. MRD are asked to help because many of the providers we have worked with are excellent at providing the “experience” in a safe and professional manner – what is often missing is someone to extract, manage and develop the positive learning that comes from the experience. It is always surprising when the opportunity to learn is ignored as this is where the client gets their return on the considerable investment. If nothing changes back at the office, nothing is learnt and it becomes a costly waste of time. The facilitation process is vital. How is personality likely to come out in people’s behaviour? Using the Insights Discovery Model we see clearly how, under the catalyst of the outdoor environment, the colour energies are revealed. The colour language is a great vehicle for working with behaviours that are clearly displayed at work when they are highlighted in the outdoor situation. Helping the team to learn from these observations of behaviour and style can really help teams to understand each other better and optimise their behaviours in the work place. On a recent event going caving with a client here are a couple of our observations about how people’s colour preferences can come out. You may recognise them in your colleague’s when you have done outdoor team building, or even in yourself! They will always closely evaluate the guide/ instructor’s competency and qualifications. Observe as more extroverted colleagues rush to action; preferring to quietly clarify exactly what the rules are and the available equipment before getting going. Sometimes a little too quiet for those in the group who need reassurance and/or encouragement; many of the guides have high blue energy – great for technical expertise but not always great at reading the group mood. They are often in the middle of the group; slightly to the front but rarely going first. Look out for their buddies, helping others with equipment and their tasks. Carry out instructions to the letter; they often notice if others in the group are straying but seldom challenge/ interject. You are more likely to see them calmly take the lead if the group gets itself in real trouble. They quickly make friends with the instructors. They often look for creative ways to make their uniforms/ equipment different and congregate at the back of the group. Talk to hide their nerves, making jokes of the potential danger. When the activity gets going they often make the experience memorable by their humour and fun approach. Also often the main source of vocal praise, encouragement and celebrations. May think that the experience is evidence enough. They may have be encouraged to talk about what can be learnt and transferred back to the workplace. We have some great partners which whom we run fun, insightful and motivating outdoor events – ones that are memorable for the right reasons! 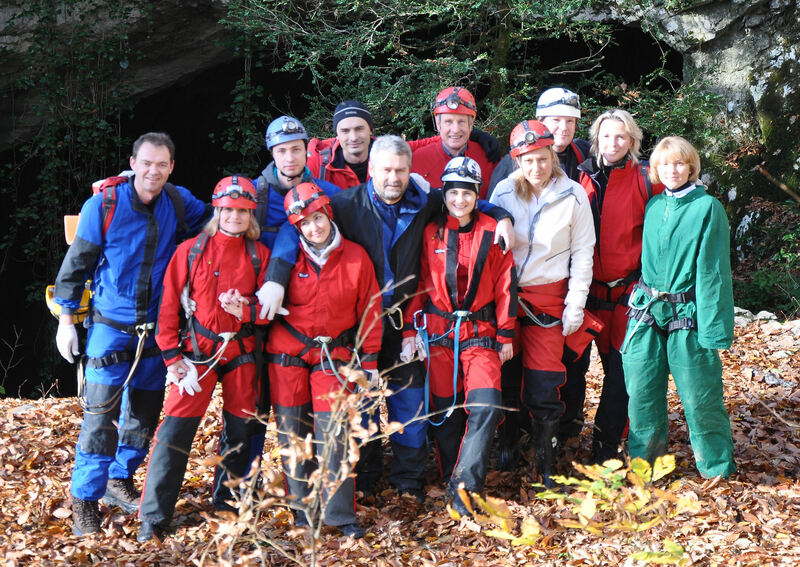 So if you are thinking of taking your team on an outdoor experience, please speak to us.